From hustling online to hustling offline, it’s all the same thing. 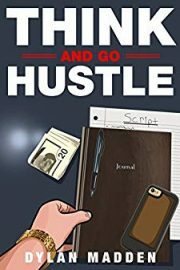 I’ve given you plenty of offline hustles and today Phil has a guest-post that’ll show you more ways to make money online. What would you do with an extra $1,000 per month? What would you do with an extra $1,000 per month? Pay off debts? Live in a nicer apartment? Invest in Bitcoin? I bet you’re sitting on at least $1,000 per month of extra income… and you’ve never even thought about it. What if you could extract that money with a couple of hours work per day? I know $1,000 is not exactly winning the lottery, but it’s a start. It proves that you can make money online. It gives you confidence and momentum to keep going – maybe you’ll quit the soul-sucking job and go all in on your business? It gives cash flow to pay off strangling debts, or to invest back into growing your business. Whatever you plan to do with the money, we’d better look at how you’re going to find it, before you go too far day dreaming about spending it. There’s hundreds of thousands, probably millions of people around the world who cannot wait to give you their money. Because it makes their life easier. It makes their business more profitable. It takes stress off their plate. And I’ll show you how to discover them. Before I made money online and lived in tropical Thailand, I had a couple of good old-fashioned offline businesses. Statistically most businesses have less than 100 employees. A huge percentage have less than 10 employees. Starting out, most businesses have just 1 or 2 founders. That means as the business owner you are continually wearing a bunch of different hats. You’re providing the service, managing the POS, customer service; the marketer, salesman, accountant, researcher, social media manager, copywriter, payroll, web designer, tech guy, and everything down to answering the phone. It’s a lot to do, and nobody has all those skills. Let alone the desire to do all those jobs. The obvious and logical answer is to outsource these tasks to someone who is better at it, can do it quicker, cheaper, and enjoys it more. That someone could be you. The first thing that needs to be drilled into your head is that you do not need to be the best in the world at something for people to pay you to do that role. You simply need to be good enough. Depending on the role, that might mean being as competent as the average 13-year-old. Perhaps it means being just a bit better on the internet than the typical 55-year-old business owner in Bumblefuck nowhere with a population of 50,000 people. You already have skills and experience that are valuable to business owners. Let’s help you recognize them, and then I’ll tell you how to monetize them. Imagine you have a blog that you have maintained for a few months or years. Maybe you don’t make any money from it, and that isn’t unexpected – most people don’t. But what else has that blog done for you? These are all things you could be paid to do. They can pay you to do it. You already have the skills to take care of this for most small, offline businesses. Think about the mom and pop shops who repair your car, paint your house, or clean your carpets. If you’re under 25, maybe even 30, you’ve grown up with the internet and more specifically, social media. Snapping attractive pictures, using filters, and posting to hashtags is second nature to most younger people. It’s what they do for fun. How many people over 40 do you think know how to do this, or have any desire whatsoever to do it? Just by being born into the latest wave of technology, you have valuable skills that older business owners will benefit from, but do not possess. Think about a local pizzeria – how much business could they generate with a properly managed Instagram account, displaying their food, and enticing people to come in? What about the local clothing store who want to run some competitions, give some clothes away, and drive customers into their shop. What if you could get their competition going viral on Facebook in their local area? You could do this stuff, and people will pay you to do it for them. Imagine you were in a band or DJ’d when you were younger. You know how to edit audio files… podcasts are exploding at the minute, and they all need editing. What about if you’re a photographer or videographer for fun? Businesses need professional photos and videos shooting. They also need editing, branding added, etc. What if you know how to code, even if you’re not a pro, businesses need small jobs doing that you could probably fulfill. There’s so many skills you might possess that you could make money from, if you recognize the value they hold. The biggest YouTube star on the planet plays video games for heaven’s sake – could you think of a more useless waste of time? But it’s not useless, it has value to people, and he makes an awful lot of money from it. Businesses need all sorts of things doing to keep everything ticking over and moving in the right direction. There are so many different places you could insert yourself as a freelancer, to be paid a few hundred to a few thousand dollars per month. You likely already have some skills or experience that you can leverage to get started. Heck, if you really don’t have any idea, ask a local business owner if you can shadow them for a couple of days. Be an unpaid intern and just watch all the things they’re doing. Everything that is going on around them, to make their business work. Being a native English speaker and average or upwards intelligence, you could do a tonne of freelance jobs better than most other people you would be competing with on the internet. Hopefully by now you see the potential you already have. Now how do you go about actually getting paid? There’s 2 strategies you can employ. Which one is right for you will depend on your personality, natural strengths, and how much time/energy you have to dedicate to it. The first option is to go out in your local area, or get on the phone, and pitch your skills to businesses. The second option is to sign up on an established freelance website and do it fully online. Both have their pro’s and con’s, which I will expand upon below. This is the best option if you don’t have a full-time job, and you’re a natural talker. For extroverted types who find sales and influence easy, you will do great at this. If you’re shy, not a good salesman, or work full time, you won’t succeed like this. Basically, you need to decide what you want to do, and then hit the pavements, or the phone-book. Pitch businesses on why you can help them, how you will be a net gain for their bottom line, reduce the business owners stress, increase their customer base, etc. This is time consuming, and you will be told no a lot more than you are told yes. You need rock solid self-confidence and the will to keep putting in the numbers, rejection after rejection. However, it is the quickest way to get things going. You might not have a tonne of experience when you start out, and confidence is the best way to overcome that. When you have some success stories and evidence of your skills to boot, it becomes easier still. Now you’re pitching a proven concept instead of an idea. Think about the benefits you are giving the business owner. It’s not about what you are doing, it’s about what it does for them. They’re going to hire you 100% out of self-interest – always keep that in mind. It’s a rough game, but it comes down to numbers at the end of the day. You’ve got to keep your head up, keep your energy high and keep giving your best to every person you speak to. Most will send you packing, but some will be interested. It only takes 1 or 2 successes to get your money coming in and everything moving in the right direction. Deliver a great service, document the results for future pitches. It gets easier over time, especially as you develop a reputation, receive referrals, etc. This is the best option if you have a day job, or you’re not a naturally outgoing salesman. Anyone could do this, which means you are in competition with a lot of other people. If you have the skills where you can step offline and sidestep the competition, that is a competitive advantage. Online is where I have the most experience. I travel around and don’t live in one place for very long, so doing anything offline isn’t feasible. Out of necessity I learnt how to hack the freelance websites to get the best clients. The key is separating yourself from everyone else, who inevitably write the same boring profiles and send the same bland proposals begging for work. It’s the best freelance site to start on. Fiverr works too, but people on there are typically looking for the cheapest freelancer to hire. Upwork is a little more upmarket, so you can make more money, and are more likely to find better clients. Look at your skills, what you enjoy, your experience, and choose the niche that is the best fit for you. Get very specific, doing ‘marketing’ is nowhere near as powerful as ‘Google Adwords management for Real Estate Agents’. The more specific your skills, the better. Choose one part of a broad category, and if possible, niche down to specializing in a single industry. This allows you to stand out as the man for that very specific thing. Not to mention, it gives you a lot more leverage of your time because much of the work will be replication of the same thing, in different places. Write a killer profile. Download your profile template here. The key to a good profile is standing out, and enticing the client to click through to find out more. You have to view your profile (and proposals) as sales letters. You are selling your services to the prospective client. Always keep that in mind, and remember that the client is only going to hire you out of self-interest. What is in it for them? Create great job proposals. Download your proposal template here. Remember – sales letter, self-interest. The template is to help you, but you shouldn’t spam copy and paste messages out to everyone. Take the time to read what they write, answer any questions they ask very specifically. Mirror back language that they use, and if possible, talk about the benefits they will get from you doing this work. Do great work, and always ask for reviews. The power of a platform like Upwork comes when you build a reputation, clients will start coming to you. You can demand higher fees, and don’t even have to bother with the effort of applying for jobs any longer. To get there, you need to do great work and rack up great reviews. The algorithm will start pushing your profile to the top, you have more proof, and the platform will highlight high-performing freelancers. All of this makes it much easier to hired and find work on an ongoing basis. What If I Have A Full-Time Job? If you already have a full-time job and limited time to apply to a freelance business, make sure you are leveraging your time well. In 1-2 hours before or after work you could add a significant chunk of change to your monthly paycheck. Heck, you could probably do the work while you’re in the office in most jobs. 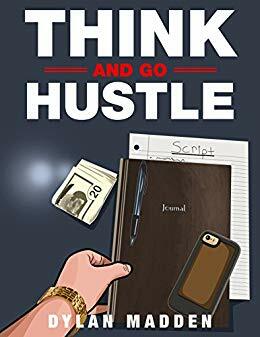 A little bit of extra hustle outside of your day job is all that it takes to get ahead of your co-workers who are going to be stuck living month to month, racking up credit card debt, and working for ‘The Man’ for 40+ years. Listen to Dylan and hustle while you’re young. Think of it as your exit plan. This is how you will achieve your freedom. What If I’m Not Techy/Great On The Internet? Not everything you could do online requires being a tech wiz. You could write content in word and send it via email, for example. There isn’t a one-size-fits-all solution. You simply find the area(s) that fit your skills, desires, etc. If tech isn’t your strong point, you focus on things that don’t require a great grasp of tech. Just remember that you only need to be good enough, and good enough is often as good/better than a 60-year-old Grandfather. What If I Don’t Know What I Can Do? If you’re still stuck on ideas for what you could do as a freelance business I suggest you download ‘Your First $100 Online’. A short checklist and video training I have put together that lists out some of the things you could do, and how to figure out the skills you have. Whatever you would like to do with a little extra cash lining your pockets, it’s not as far away as you think. Like Dylan said, there’s no corporation that is going to give you a job for life nowadays. The sooner you start taking control of your income, and building side-hustles, the better you will be. Take my suggestions, put in a few hours of business generation per week and you’ll have a nice little hustle underway. P.S. I put all the templates and everything mentioned in this article into one convenient download for you. It’s funny, because almost anything in life can result in SOME skill – but the hard part is that you…well, have to actually RECOGNIZE that skill over time and then realize that it’s going to take ANOTHER step to then monetize it down the road. But, there are skills in need everywhere for everything.